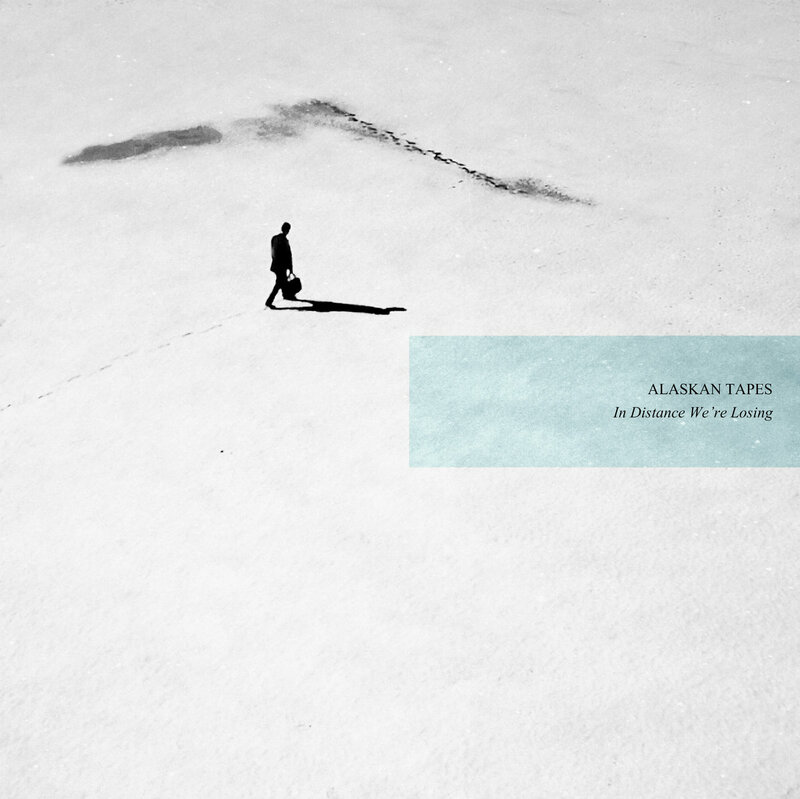 The suited man toting a bag across a barren landscape on the cover of In Distance We Are Losing speaks volumes about stark emotional tone of this new album from Alaskan Tapes, a project from musician Brady Kendall out of Toronto, Canada. If you have heard his music before, you know there are going to be moments of arresting beauty and ethereal interludes, but there is a sense of isolation, preoccupation, and distraction present in these tracks that tugs in another direction while the visceral presence of the cello parts contributed by Raphael Weinroth-Browne lend as much rawness as eloquence to the proceedings. While never harsh on the ears, In Distance We Are Losing is clearly a chronicle of a difficult passage, but one that ultimately ends on a redemptive note thanks to the transcendent reach of the penultimate track – the gorgeous “Because Finally It’s Everything” – and the tentatively hopeful final coda, “Tomorrow’s Song”. It is a rewarding journey to be sure, but when listening allow time for long, wistful stares into the distance that will inevitably ensue. In Distance We Are Losing is now available on CD and 12-inch clear vinyl, both in limited edition (50 copies on CD and 100 copies on vinyl). A download only option is also available. 2016 saw the release of two Alaskan Tapes albums as well as an EP last year, each very much in the same spirit of understated, melancholic beauty as In Distance We Are Losing, but a little more lush than austere on balance, with comparatively more emphasis on delicate piano lines, ambient textures and downtempo electronics. A 3-track digital EP that should not be overlooked and it was mastered by non other than Taylor Deupree to boot. Originally released on 12-inch vinyl which is now sold out, downloads are still an option for this album which features a trio of guest vocals by Chantal Ouellette and gorgeous instrumentals of which the title track and “In Far Away Places” are highlights.